Idlewild & SoakZone hosts several fun activities for groups throughout the season. Enjoy group activities such as, cheerleading competitions, the Annual Twirl-Tastic Event, and more! Area Twirling Teams are invited to participate in our 1st Annual “Twirl-Tastic” event, August 2 & 3. On these days, there will definitely be more twirling than just the rides! Twirling teams will perform at the ballfield event area throughout the day. 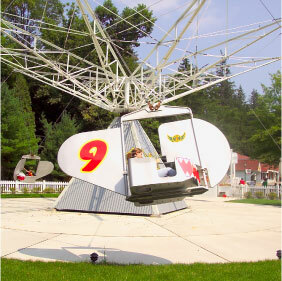 Before and after your performance, enjoy the park’s rides, unique attractions and exciting shows! Great discounts are available when purchasing tickets as a group. Performing twirlers receive an even greater discount with a pre-approved performer list. To schedule your dance school, call the Group Sales Office at 724-238-6784.